Giving the fight against cancer a single voice. "Cancer” is one word, but many separate diseases. Cancer treatment is one field, but with many disciplines – from basic research through clinical practice to nursing care. 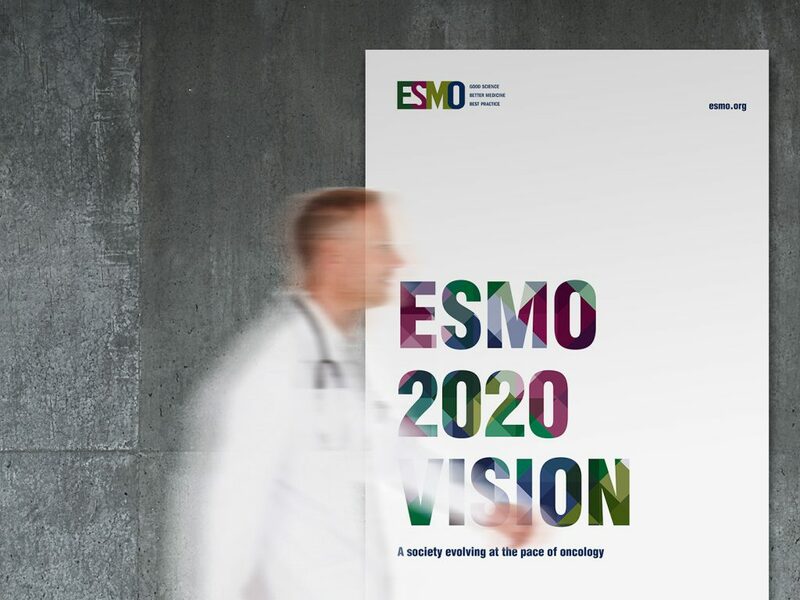 For 40 years, the European Society for Medical Oncology (ESMO) has spoken for cancer physicians in Europe… and now, it unites the whole spectrum of cancer professionals around the world. Our challenge was to make that vision clear: to convey a global presence and a vast breadth of expertise in a format that combines instant brand identification with the flexibility to distinguish between different activities, topics, and channels. 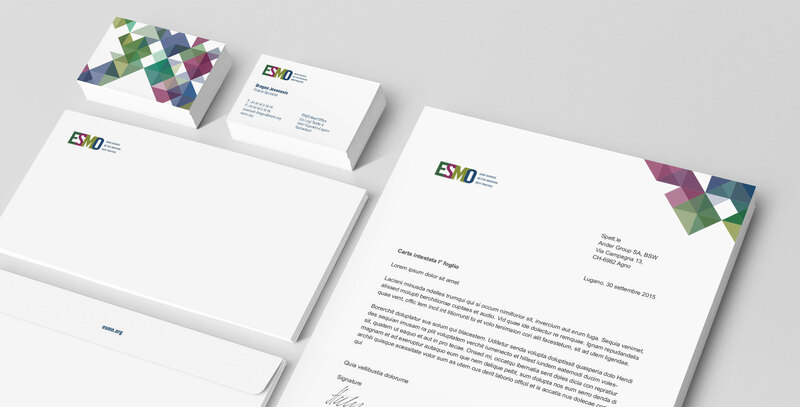 The answer was to create a full-fledged corporate identity, combining the existing elements with a prismatic pattern adaptable to every one of ESMO’s purposes. Expressing diamond-like precision, structure, and quality, linking elements through a crystalline structure, it gives unity to activities as diverse as online education, scholarly journals, and international congresses. 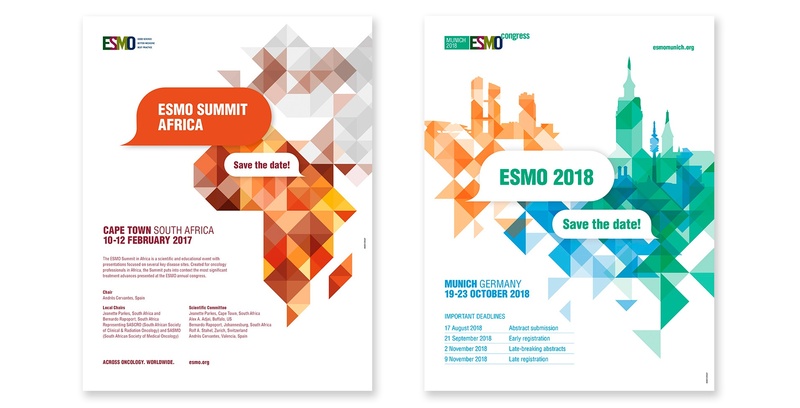 Congresses – where thousands of professionals gather to exchange the latest information and best practice – are the most visible sign of ESMO’s worldwide commitment. Making such large, complex events run smoothly is a huge challenge: one that demands the support and experience of an expert communications agency. 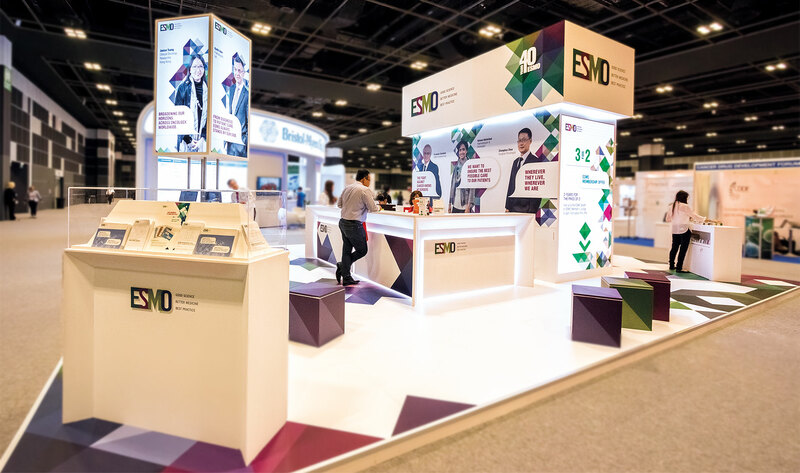 A dedicated, year-round team at Ander Group designs and creates all the communication and visual assets for every ESMO event, from online promotion to venue set-dressing. We make the process straightforward and trouble-free, so ESMO can concentrate on the content. One look, one voice. Across oncology, worldwide. Every day, we help bring ESMO's vision to life.